This was more of a slog than I wish it was, because the content of the book is actually quite interesting and refreshing. 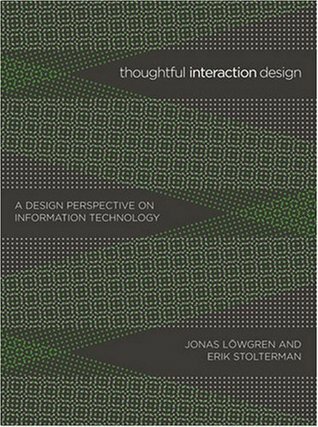 Rather than offering prescriptions for how to *do* interaction design, this book challenges the reader to be (wait for it) thoughtful. Which is to say, it talks about how to *think about* interaction design. It a shame the prose is rather lifeless and detached because the book does offer a range of frames for thinking about our practice which I wish were more widely accepted. Sign into Goodreads to see if any of your friends have read Thoughtful Interaction Design. 72.0% "Slow going. But somewhat rewarding anyway."